The apartment rents in Sharjah stabilised and remained unchanged in the third quarter after witnessing a 6 per cent drop in rents the previous quarter primarily due to stricter accommodation rules introduced by the government, said a report. The clamp down on sharing by the Sharjah government helped stabilise rents across the emirate in the third quarter, according to the latest Northern Emirates report from leading UAE property management company, Asteco. “The new regulations require tenants living in Sharjah to share their accommodation with other members of their immediate family only. This forced many tenants who had previously shared with friends or colleagues, to move to smaller more affordable units, prompting a decline in rental rates, especially for larger apartments,” explained Elaine Jones, the CEO of Asteco Property Management. The commuter belt of Al Khan (Mamzar) and Al Nahdah which were the least affected rental markets at the half year, along with the sought after Corniche and Mina Road areas, recorded the highest rentals rates in Sharjah ranging from Dh43,500 to Dh54,000 ($11,840 to $14,698) per annum for three-bedroom units. It was a similar picture for villa rental rates in Sharjah, but it was due to a general lack of availability and many tenants secured on long term leases, said the report. Rental rates for three-bedroom properties in Al Khan (Mamzar), Shargan and Al Quz remained in a range from Dh70,000 to Dh77,500. The office market remained sluggish with a lack of demand from existing tenants that are established in their existing premises and reluctant to move, the Asteco report stated. There was also limited interest from new and existing companies located outside of the emirate. With commercial space priced at Dh592 per sq m, the Corniche area led the market in Sharjah, underscoring its popularity as a desirable place to work and live. 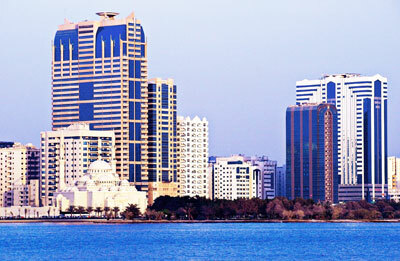 “The outlook for the Sharjah property market is positive though, with a number of government initiatives including tourist projects such as the Al Hafya Educational Reserve Centre and new project launches in the form of a 6,500 house neighbourhood at Zubair, which are likely to stimulate the economy and improve the demand for housing,” said Jones. Elsewhere in the Northern Emirates, the listless property trend continued with little movement in Ajman, Ras Al Khaimah, Um Al Quwain and Fujairah, according to the report.